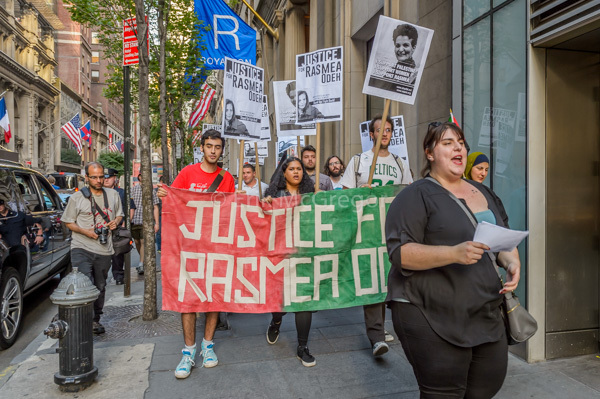 New York rally and march demands ‘Justice for Rasmea’ | Fight Back! 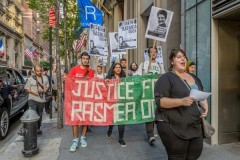 New York, NY - 45 activists and community organizers gathered at 19 W 44 th Street, the office of G4S Security Solutions, June 10, to stand in support for Rasmea Odeh, a Palestinian American leader who is facing jail and deportation on a trumped-up immigration charge. G4S provides security services to Israeli prisons, where countless Palestinians prisoners have been held without due process, persecuted and tortured. 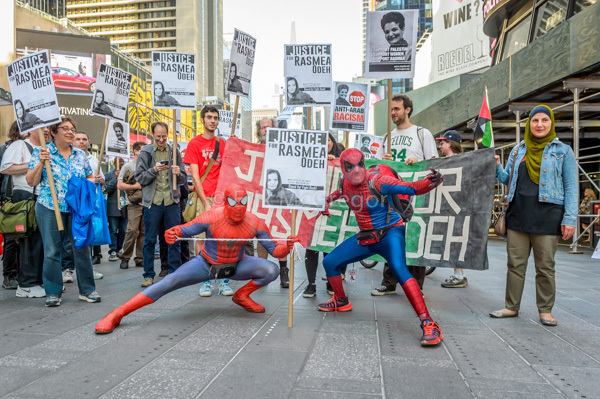 The rally ended in high spirits with several rounds of chants led by Nerdeen Kiswani of NY Students for Justice in Palestine. The rally and march were endorsed by: Al-Awda New York: The Palestine Right to Return Coalition, American Muslims for Palestine, the Committee to Stop FBI Repression NYC, the International Action Center, Jews for Palestinian Right of Return, Labor for Palestine, New York City Students for Justice in Palestine, NY4Palestine, Freedom Road Socialist Organization, Palestine Solidarity Alliance of Hunter College, Samidoun: Palestinian Prisoner Solidarity Network, and the US Palestinian Community Network.